Terrorists have already proved their interest in using the British rail and underground system to create havoc. A blast on a packed commuter train on September 15, 2017, caused panic and left several people injured. Commissioner Neil Basu, the senior national coordinator for counter-terrorism policing, called the blast a terrorist incident and this was confirmed by the mayor of London, Sadiq Khan. In spite of this increasing threat, the British government is making an already vulnerable system even less secure by installing digital signaling on the line between Manchester and York – a type of system that is vulnerable to cyber-attack. In November 2016, during the government’s Autumn Statement, a $607 million fund was announced for the development of digital railway systems. $6.75 million of this has been allocated to Network Rail for the planning and development of the Manchester–York digital signaling line. The government believes that going digital in this way will increase both the capacity and reliability of the line. Digital train signaling allows trains to run much more closely together, and this technology has already been implemented in London’s underground system. Dr. Garcia-Perez believes that while a digital railway in the U.K. would provide “substantial benefits to both passengers and the rail network,” there are some serious risks that need to be factored in. 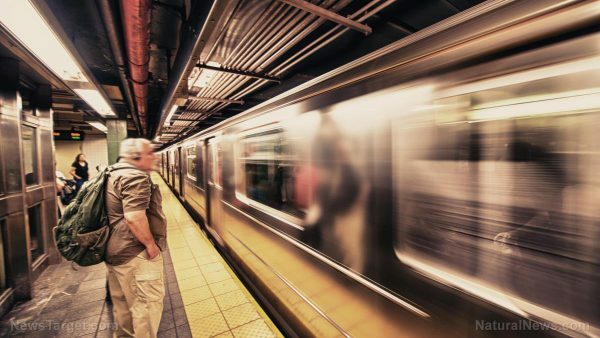 He believes that if hackers gained access to train tracking, signaling or other information, the safety of staff, passengers and the community would be compromised. The government is standing by its decision 100 percent. Meanwhile, the Australian government is also taking steps to move towards a digital railway system. Railway-Technology.com reports that the Australian Rail Track Corporation (ARTC) is collaborating with aerospace giant Lockheed Martin to test a digital system called ATMS which will display information to the train driver in real time on an electronic display in the cabin. This system forms part of the government’s plans to replace all analogue controls. ATMS, like the British digital system, allows trains to run in closer proximity and could double or even triple freight traffic. While the government has assured workers that ATMS will not be used to replace human drivers, it has confirmed that it will facilitate remote intervention. Of course, in the wrong hands, a system that can be used to remotely slow a strain down could also be used to speed it up.